That shirt is just John's Cassimere shirt but in black, with a union suit underneath. It's really not that hard to add as an option. F***ing Rockstar. Goddammit. How the f*ck do I upload images directly again? I forgot. Yep. No other way to get it AFAIK. This hat look like his gambler hat, really nice. 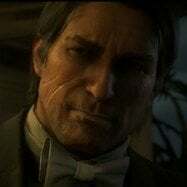 I bet ALL of John's 1899 outfit clothing pieces can be worn individually with no issue since NPC John and Playable John use the same model. They %100 can. Cockstar just chose not to have them. Yep I noticed as well. Even John's bank robbery outfit is used on John when he's playable since we see our customised John wear it at his wedding. Plus in the bank robbery, it shows that ties don't effect the bandana AT ALL. 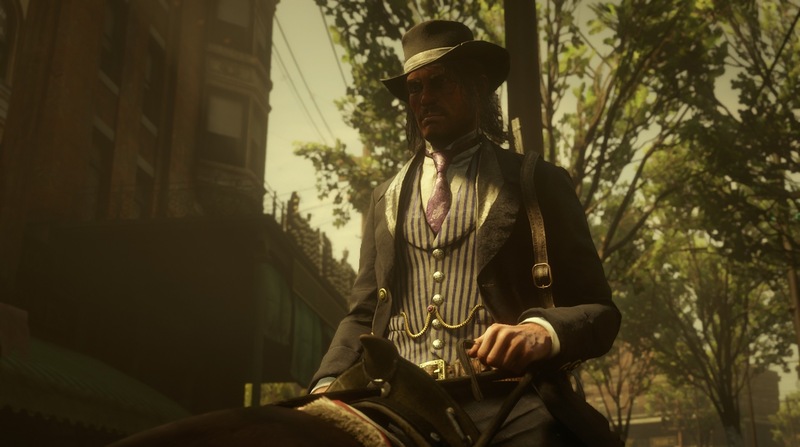 Extremely stupid that Rockstar made it so your tie/neck wear disappears and your shirt closes up if you wear a bandana. Plus certain masks like the fence shop masks are perfectly compatible with hats via glitch. the union suit was basically like underwear back then right? 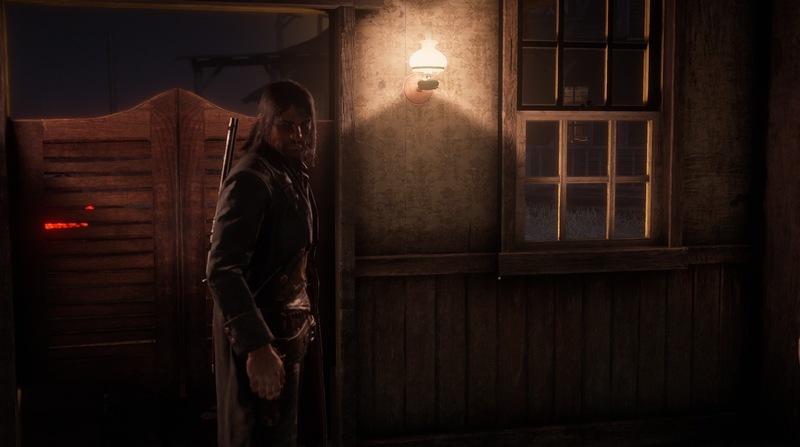 so that﻿ means arthur doesnt wear underwear because his union suit never shows (unless you wear the shirt). the union suit should be shown if your wearing it under a shirt lol a simple toggl﻿e off/on would do. yeah, the union suit is pajamas/underwear type of thing. they didn't have classic underpants and tank tops back then I believe, because materials were different, so clothes were not elastic.I also believe they didn't wear socks. that's why I believe both arthur and john were union suit pants (or perhaps shorts) underneath regular pants because having jeans without underwear would be rough. but union shirt underneath another shirt is not needed, unless you want it of course. I just hope they'll add the option to remove off-hand holster in menu, because this actually affects gameplay - you cannot carry 2nd gun. removing it with mod is fine, but if it's done via something like trainer/save editor it could just respawn if you reach weapon wheel, because the game could spot 2nd gun in the inventory.. but if it's done by actually removing one of the models and choosing to carry it, it would be just an invisible holster and your 2nd gun will float if you carry it. John's hair will be usable via mods, but having it in the menu would be better because of growing system. 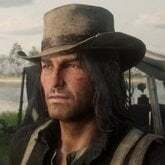 if it would be added via trainer/save editor, every time the hair would grow Arthur's hair might respawn, and that would be annoying. Actually, socks were around back then Dunno if anyone in the Van Der Linde gang used them besides Tralawney though. You can an advertisement for mens socks in the clothing catalogue. You already mentioned the bit about being able to wear separate tops and bottoms so I removed it lol. hey which coat is the closed winter coat called on the save editor? what’s the hash for it? Just save a game in chapter 1, open it in the editor, extract the current outfit in the custom outfits section, then open up your actual save and replace current outfit with the outfit you extracted. You might have to load your save again from the pause menu as modifications don't show up immediately on the first load sometimes.